First of all, I need to clarify, I’m not an Exchange guy. So, perhaps I’m describing a scenario that’s fully clear for Exchange Admins but I think, this could be helpful for other Office 365 Admins. This sample is my summary to show the solution for that specific request: How to set full access permissions to a shared mailbox, a resource or a distribution list for a group (and therefore to all members of that group). 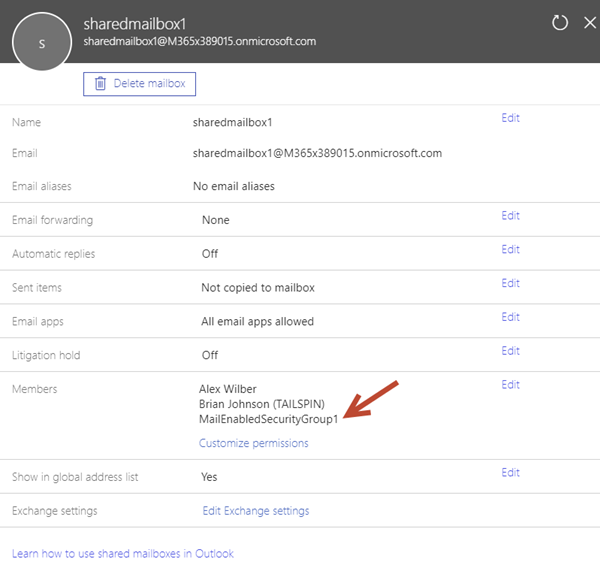 You can add only users and email-enabled security groups to a shared mailbox. 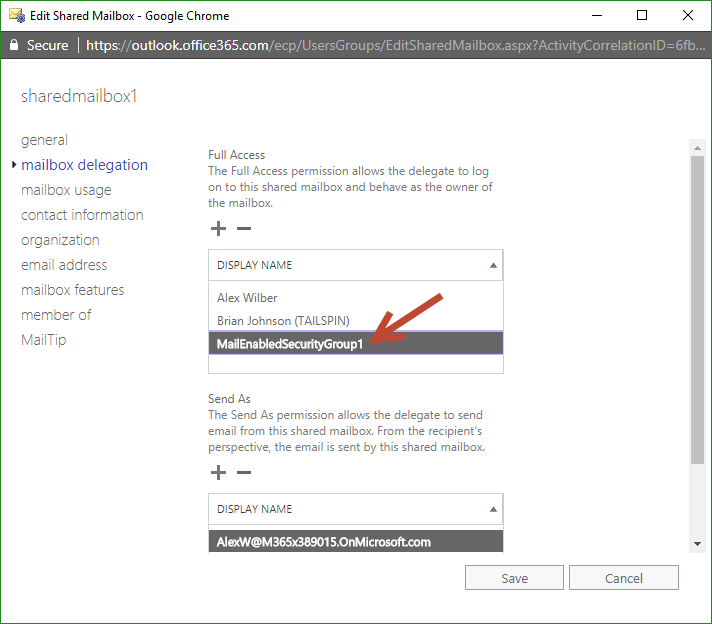 Distribution groups and Office 365 groups cannot be member of a shared mailbox. The screenshot shows an example. I could add MailEnabledSecurityGroup1 as member SharedMailbox1. Just as warning: Since email-enabled security groups are Exchange objects, it might take a while after creation (usually some minutes) to be visible in the portal and in the For seeing new Exchange groups in an email client, the portal says: "It might take up to 60 minutes for the change to be effective in Outlook and OWA." Mail-enabled security groups are handled in the same way as users. 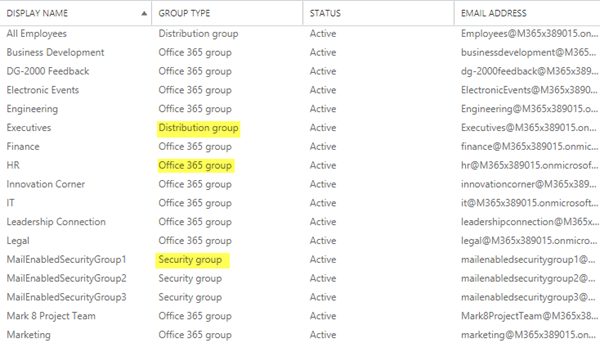 Just to prove it: Distribution groups and Office 365 groups cannot be added. An error follows: User or group "Executives@M365x389015.onmicrosoft.com" wasn't found. The same error follows: User or group "hr@M365x389015.onmicrosoft.com" wasn't found. 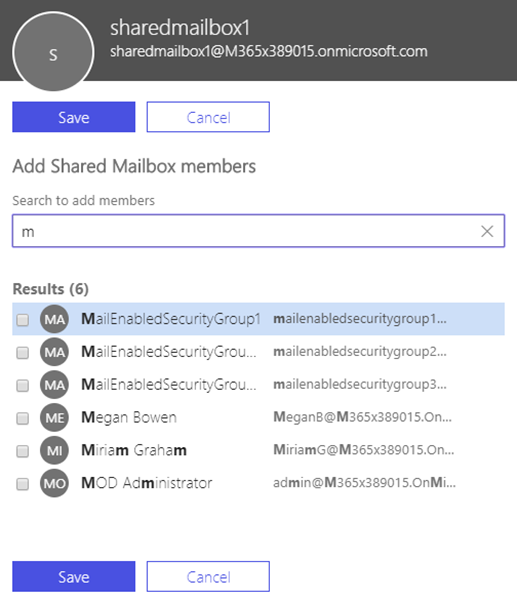 We see, just users and email-enabled security groups can be used as members of a Shared Mailbox. 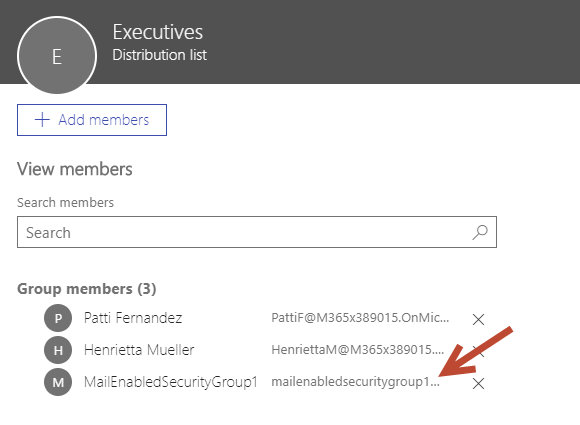 The Office 365 Portal shows the assigned MailEnabledSecurityGroup1 as member of SharedMailbox1 (remember, this can take some time). The same goes for distribution groups: Mail-enabled Security Groups can be a member. The same goes for resource mailboxes: Mail-enabled Security Groups can get permissions to a room or equipment mailbox. 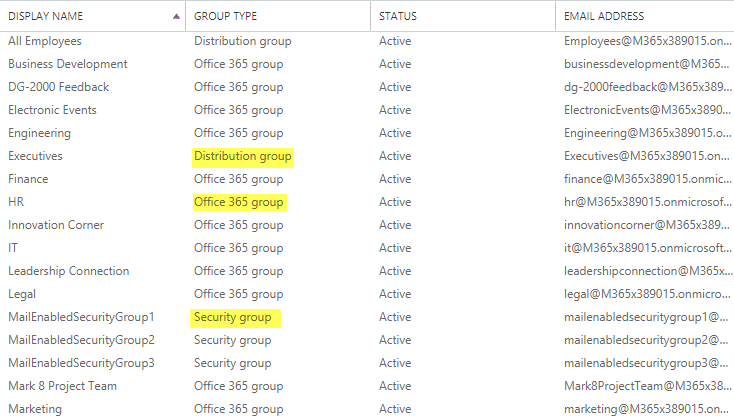 As far as I see, currently only users can be member of an Office 365 group and no other group types. So, this scenario is easy. You just need to know that you must organize your environment to use Mail-enabled Security Groups for the purpose of using groups within other groups.